Discussion only. This thread is only for discussing the cards: if you have bugs to report or questions about the rulings, you should post them in the aforementioned section (since I'm more likely to notice them there anyway). Aside from that, everything goes: feel free to discuss to your heart's content! Have fun! Thanks as always Eerie, I really liked that part of the beta cards thread. Hopefully new cards'll come soon so we can see more life in here. 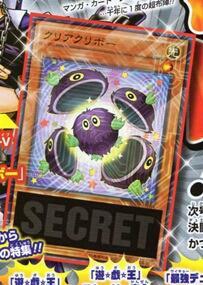 So this is to discuss them as cards themselves? Yes, you can discuss pretty much everything about the cards in prerelease that doesn't concern bugs: your opinions on the revealed cards, possible tactics or future expansions, everything goes. That also includes your ideas on possible cards in future sets, though I'd recommend keeping eventual spoilers from the anime within spoiler tags, for the sake of those who haven't seen the episodes or the previews yet. You're welcome! And yes, I really hope something new comes out soon. If I recall correctly, a magazine with some scans should come out at the start of the month, so maybe that will have something new? Let's face it, by now they should be able to announce something new! Dark Illusion might have Dark Magician support too considering the name and timing of release with the movie. I also want the new Ancient Gear cards playable too. Unless they change things now that we've reached Series 10, I agree with Padraigo, the new vintage support is most likely going to be related to "Dark Magician". I'm hoping it will be more geared towards "Magician of Black Chaos", though: with an upcoming Booster Pack with 45 cards for the movie, they have all the space for the original DM and DMG in there, while MoBC is still undersupported. If we get a Fusion Booster to complete the trio, I think the most likely archetypes would be "Predator Plant" (the first archetype has always been from one of the Yus) and "Ancient Gear" (between the hounds, "Chaos Giant" and all the traps, there's more than enough stuff). 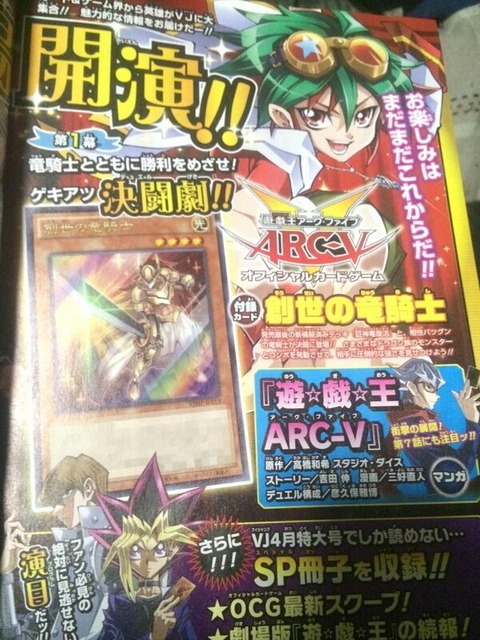 I wouldn't worry too much about the lack of monsters for both archetypes, they had the same problem with Yuto's cards and they simply made some original ones. "Beastborg"s might end up being included in that booster, like the "Goyo"s in HSRD: the "Ancient Gear" can be the Machine materials, and with the "Lunalight"s being recently released it would work as cross-promotion with SHVI. They'd need some serious nerfing, though, the way they are now makes the "Amorphage"s look mild! "Starve Venom Fusion Dragon" is definitely going to be the cover card for "The Dark Illusion": there's no way one of the Dimension Dragons will be excluded from a cover. Abyss Actors need some proper screen time (no pun intended). Sawatari hasn't done much since the tournament in Standard. I know he is a joke character but I'm hoping he gets atleast one more epic duel using his Abyss Actors. To be fair, Serena didn't have much more screen time than Sawatari (or variety in her moves, for that matter): most of the Lunalight support came out a little more than a month before the set release. Given that the set should come out in May, if I recall correctly, we should have at least 12 episodes before the release: that's more than enough time for Sawatari to do something. EDIT: My mistake, it's stated to be released on April 9th. That leaves 8 episodes before release, with admittedly lowers the chances for Abyss Actors, but at the same time, with only two months before release, they have to start announcing something soon. Maybe, they often portray Shingo as the "loser" but, i hope he gets a great duel that makes him look like a real Lancer. To be honest, at this point anything that's not a bloody reprint would be welcomed. I mean, between Dark Illusion, the Movie Pack and other stuff we should see over 100 new cards in the next 3 months. And something tells me that this week's Twitter reveal will be another bloody reprint, but from the Gold Pack 2016 since the Structure Deck will be out by the time. Starve Venom Fusion Dragon would fit more in an official V-Jump announcement rather than a simple Twitter reveal. Yeah, I would like SVFD to get announced this Sunday, but The Dark Illusion hasn't been announced officialy in the V-Jump yet, so my hopes for that are low (but they can show its Anime Text at the next Jushuku unless they pull a C107). I suppose worst case scenario I could script the anime version: at the moment all I can script are the custom cards I submitted in the Organization Forum one month ago, so it'd be at least something fresh. Still, would we need an announcement on VJump? Wasn't "Duelist of Radiance" announced on Twitter? FINALLY! I cannot believe it took them so long to show something new, I really can't. I can't read Japanese, so we'll have to wait for the Organization to translate it, but from what little I understand this card is meant to be used in the Felgrand Deck, and will be released on February 20th. EDIT: The Wikia has a rough translation. Its first effect makes "Ruins of the Great Divine Dragon" a lot more practical, and its third effect is no slouch either. Overall I can see how this card would be useful in the Felgrand Deck. 1 user thanked Eerie Code for this useful post. Things have been so slow in the Yugioh world lately. The only thing exciting is the Anime. But it does sound like next few months will be pretty big. Right now the only certain thing to look forward to is VJump in two weeks (and I really hope they don't do the same thing they did in January!). The next episode of the anime is certainly promising, but I really hope they won't pull some tricks. Between the emphasis on the Earthbound Slaves in the preview, and the synopsis for episode 93 I've seen, there's an high chance that Yuri's duel will be either interrupted or offscreen: which would mean no SVFD again. Granted, episode 93 does seem vaguely interesting as well, but I still want more details about that huge drooling dragon! Here's how it went for me: I woke up this morning to see some of the scans for Jump; in half an hour, I had seen 20 new cards and hints for more further down the line (including an interesting retrain for BEUD), and 1 hour later I saw that 1 of my most anticipated cards will be coming out soon as a promo. I'll just let you imagine my face for the entire morning! That said, scripting all of them is going to take a while: the new Xyz Magician is a little complicated, it will probably be among the last cards I'll upload. If I'm lucky, I should be able to upload at least the "Performapal" new cards today. Not much to say about the movie cards, since we only have the pictures to work with, but I think the "Marshmallon" retrain has the most unfortunate design I've ever seen. Must be because I saw "Digimon" recently, but that design is just... Also, no joking about every old school card getting something new! What's next, a "Mystical Elf" retrain!? Finally, "Phantom Dragon"! :D :D :D How long I've waited for that! It's odd (no pun intended) that "Odd-Eyes Persona Dragon" is all alone, though: I suppose it makes sense, given that "Mirage Dragon"'s effect hasn't been shown in the manga yet, but still strange to have them separated. Come on, Red Nova Scarlight. Only a few more episodes left. Seen them, I'll add them as soon as I can. I'm a little confused by Gofu, though: if the Tokens cannot be Tributed or used as Synchro Materials, then what's their purpose?